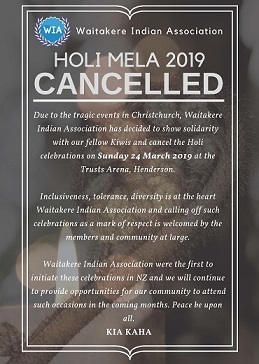 Waitakere Indian Association (WIA) has announced cancellation of this year’s Holi Celebrations in homage to the victims of the Christchurch massacre. The 14th WIA Holi Festival was scheduled to be held from 1030 am on Sunday, March 24, 2019 at The Trusts Arena, Central Park Drive, Henderson. 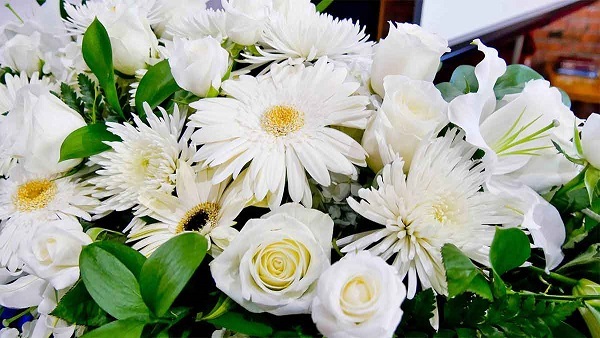 Fifty people were killed including men, women and children, when an Australian-born terrorist opened fire at two Mosques in the otherwise quiet ‘Garden City’ in our South Island on March 15, 2019 as Muslims gathered to offer their Friday Prayers. Today, thousands of people turned out all over New Zealand for the official Islamic Call to Prayer this afternoon, one week after 50 people were killed in the attacks. 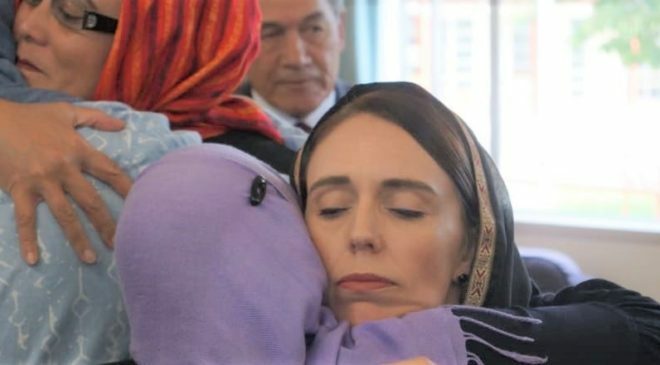 The main event was in North Hagley Park opposite the Al Noor Mosque on Deans Avenue, with Prime Minister Jacinda Ardern attending the ceremony.